‘mbna is a faceless corporate name. Employees struggle to communicate why customers should choose us, what hope have the general public’. We were challenged to clarify the mbna proposition and engage with all our stakeholders to create a stronger brand and a bigger business. Dominated by the dynamics of rate change, compliance and aggregators, mbna was being driven by rational attributes and occasional functional benefits. We tapped into the emotional benefits of both mbna products and service to deliver a distinctive, compelling proposition, rooted in truth. Making Life Easier became the brand idea that led employee engagement and united the internal communications teams. 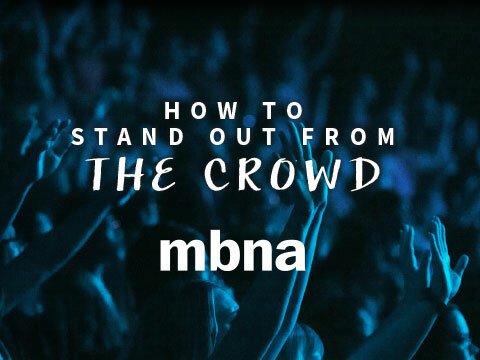 It allowed the brand to move in a consistent direction, and gave the multi-channel programme of communications energy and positivity; resulting in a strong presence both internally and externally to hundreds of thousands of MBNA customers.